Ten City Maker Faire Weekend Across the U.S. 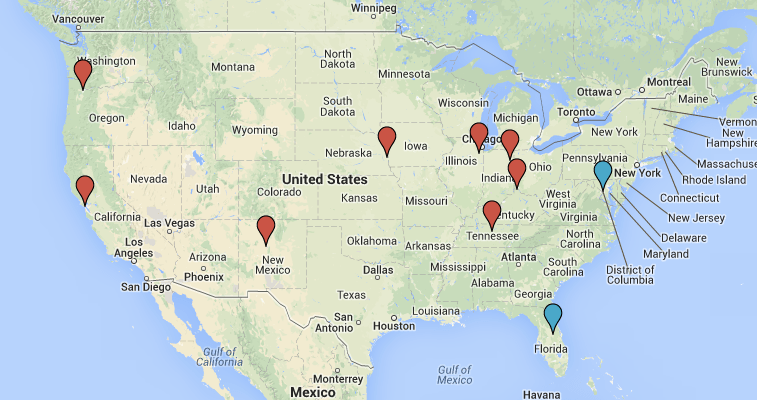 TEN MAKER FAIRES this weekend across the United States! That’s the largest number of Faires over one weekend we’ve had in the history of Maker Faire. We started in 2006 with a single faire in the Bay Area and we have grown so fast! There’s no telling what kind of record we’ll set next year. With as many as we have going on, there is a really good chance that there is a Maker Faire near you. Take a look at the whole list of events coming through the end of 2014 and into 2015. If there isn’t one, you may be interested in starting a Maker Faire in your city—please read through our program website, circle your friends and allies, and submit an application!